Professor David Sprott was the first Chair (1967-1975) of the Department of Statistics and Actuarial Science at the University of Waterloo and first Dean of the Faculty of Mathematics (1967-1972). 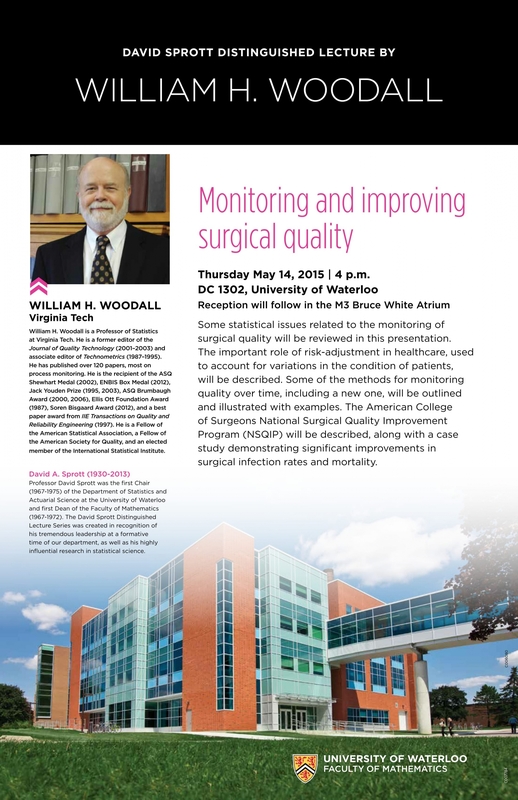 The David Sprott Distinguished Lecture Series was created in recognition of his tremendous leadership at a formative time of our department, as well as his highly influential research in statistical science. 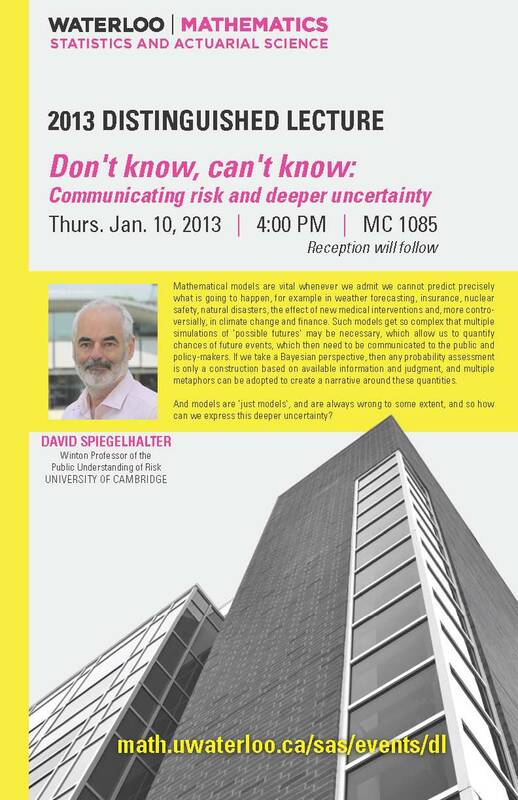 David Spiegelhalter, University of Cambridge, January 10th 2013 lecture on: "Don't know, can't know: communicating risk and deeper uncertainty". 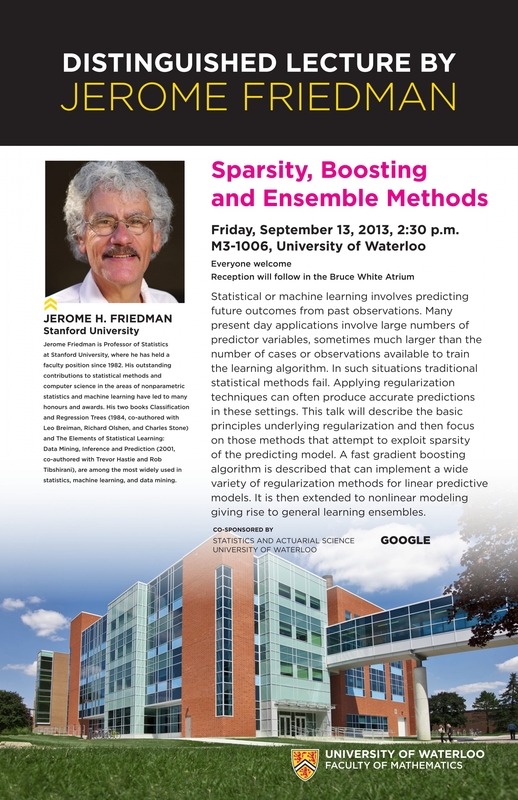 Jerome Friedman, September 13th 2013 lecture on: "Sparsity, boosting and ensemble methods"
Raymond J. Carroll, September 24, 2015 lecture on: "Constrained maximum likelihood estimation for model calibration using summary-level information from external big data sources"
Martin Wainwright, May 12th 2016 lecture on: "Some new phenomena in high-dimesional statistics and optimization"
Jerome Friedman, Stanford University, September 13th 2013, ""Sparsity, boosting and ensemble methods". 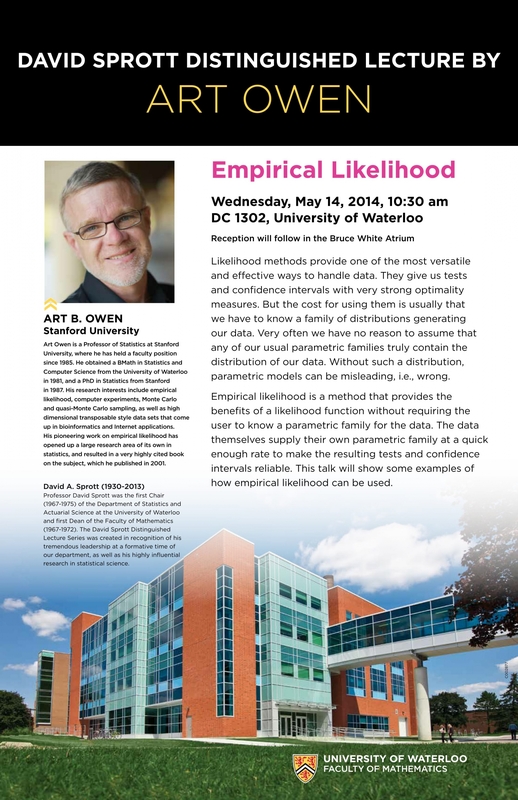 Art Owen, Stanford University, May 14, 2014 “Empirical Likelihood". 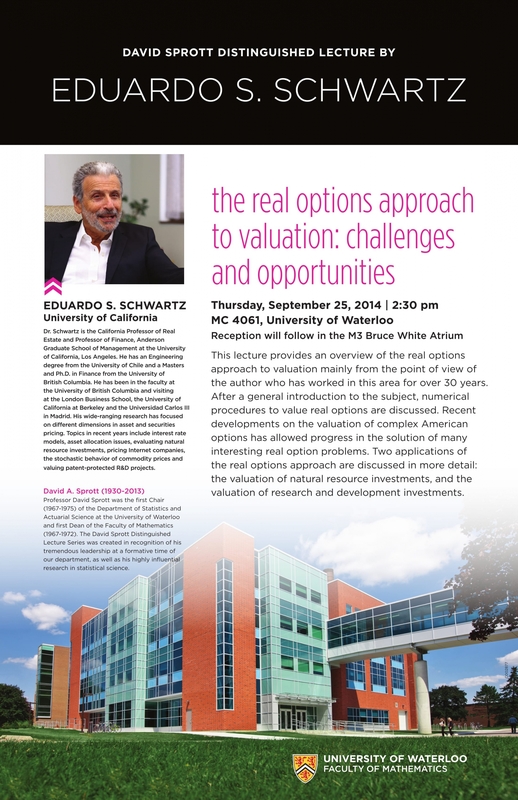 Eduardo S. Schwartz, University of California, September 25th 2014 lecture on: "The real options approach to valuation: challenges and opportunities". 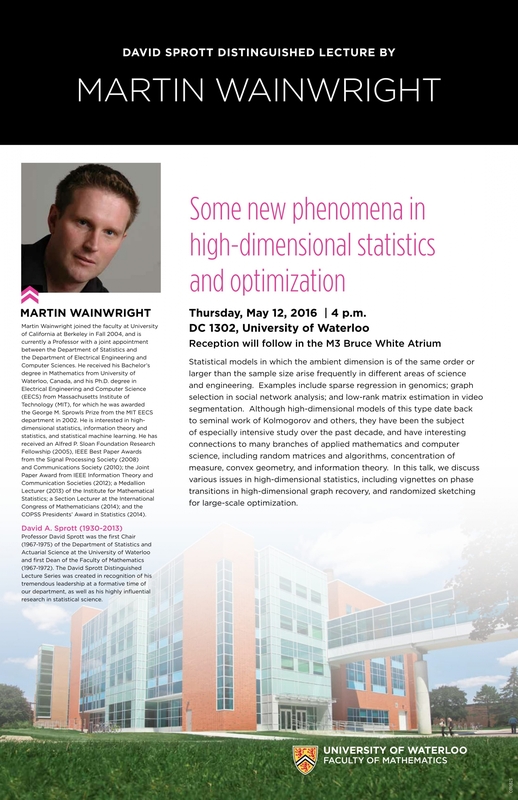 Bill Woodall, Virginia Tech, May 14th 2015 lecture on "Constrained maximum likelihood estimation for model calibration using summary-level information from external big data sources". 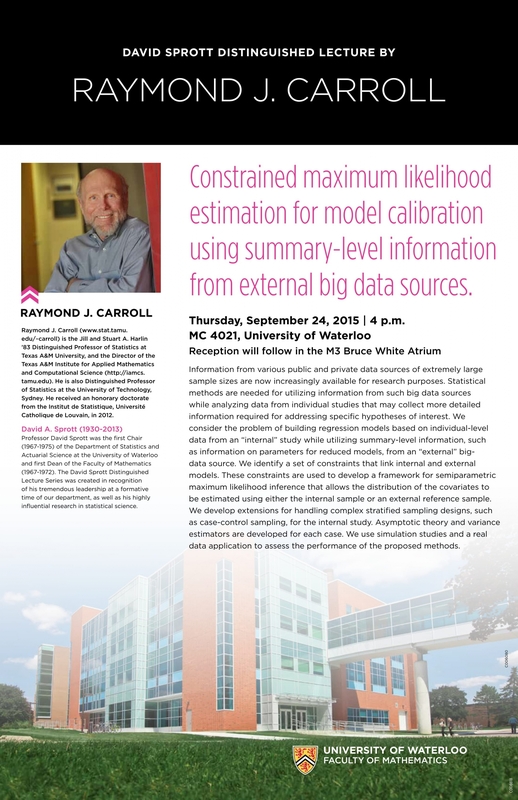 Raymond J. Carroll, Texas A&M University, September 24th 2015 lecture on: "Constrained maximum likelihood estimation for model calibration using summary-level information from external big data sources". 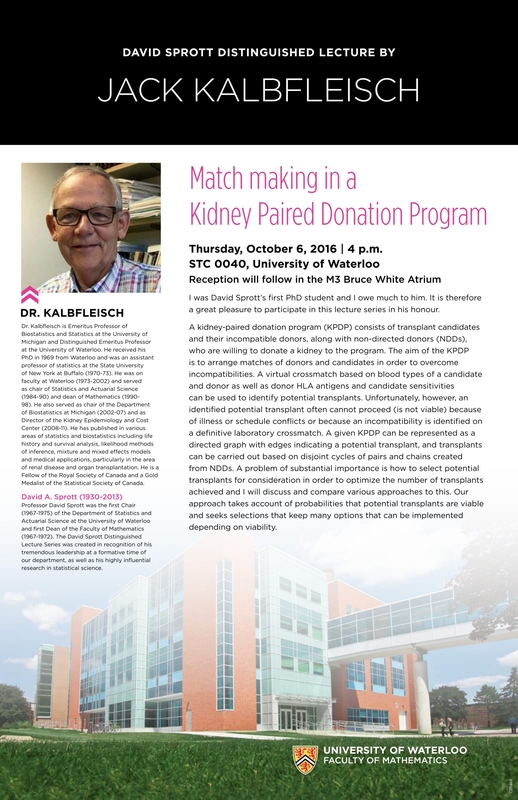 Martin Wainwright, University of Waterloo, May 12th 2016 lecture on: "Some new phenomena in high-dimesional statistics and optimization"
Jack Kalbfleisch, University of Michigan, October 6th 2016 lecture on: "Match making in a kidney paired donation program". 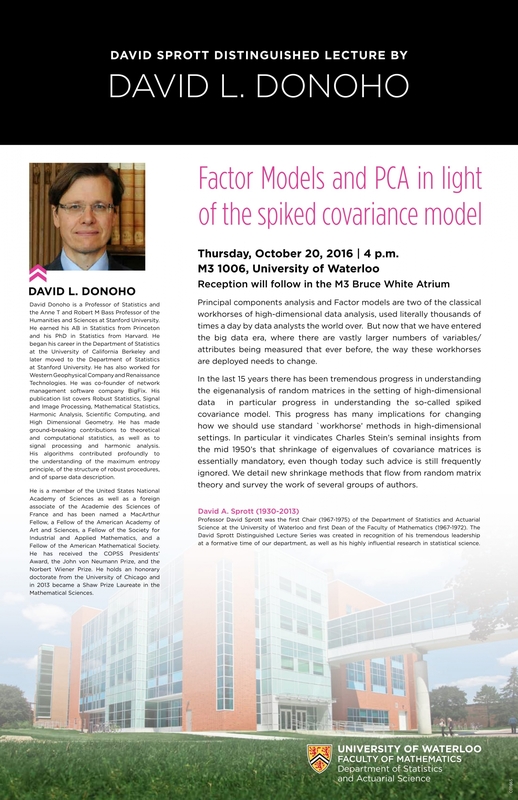 David L. Donoho, Stanford University, October 20th, 2016 lecture on: "Factor models and PCA in light of the spiked covariance model". 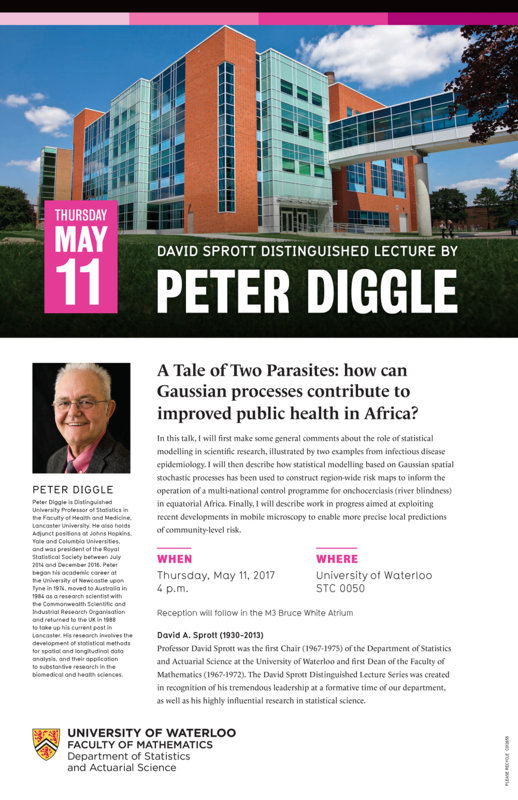 Peter Diggle, Lancaster University, May 11th, 2017 lecture on: "A Tale of Two Parasites: how can Gaussian processes contribute to improved public health in Africa?" 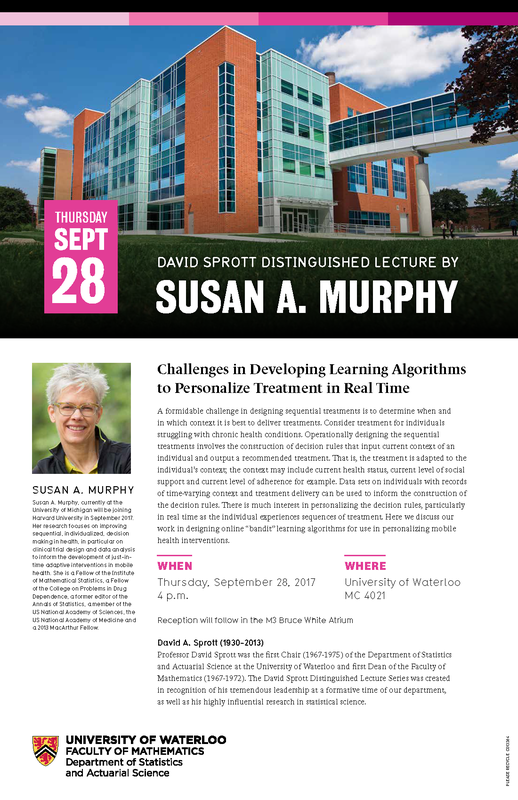 Susan Murphy, University of Michigan, September 28th, 2017 lecture on: "Challenges in Developing Learning Algorithms to Personalize Treatment in Real Time." 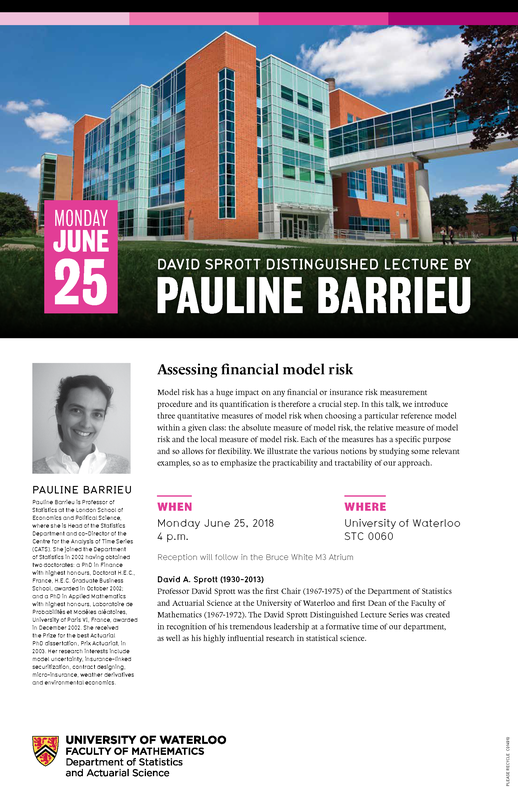 Pauline Barrieu, London School of Economics and Political Science, June 25, 2018 lecture on: "Assessing financial model risk." 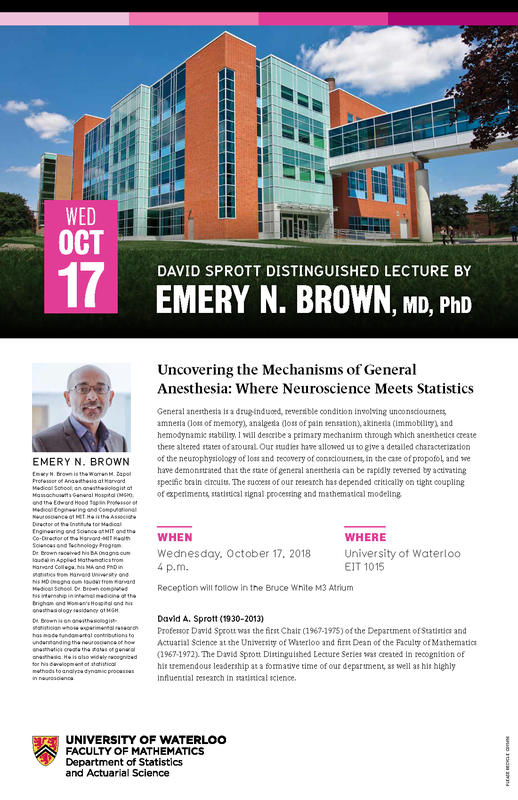 Dr. Emery Brown; Institute for Medical Engineering & Science, October 17, 2018 lecture on: "Uncovering the Mechanisms of General Anesthesia: Where Neuroscience Meets Statistics"